Although the above reasons may sound important, and cost is often an overriding factor, there is more to consider. The reality is that students often drift from high school friends whether they attend the same college or not. And high school relationships often end, regardless of good intentions, so selecting a school based on a romance is never a good idea. Although there are different outcomes, we all know the tale of the student who gave up the opportunity to attend her dream school in another state in order to attend a local school her boyfriend would also be attending….. Now is the time to get your child’s long-term goals in focus. Help your child focus on deciding factors other than those on the student list. Do you want a warm climate or a cool climate? Do you want a large school or a small school? Initially his answers were less than helpful…..so I encouraged him to picture himself in different environments. He realized that he would be miserable spending 4 years in the north or the midwest since he hates the cold. He recognized that he would be lost in a large school, although he did not want a college smaller than his high school of 2,500 students. He also decided that he did not want to go far from home. At least this gave us a starting point! My middle son did not care at all about climate and just didn’t want a school that was too small – anything about 8,000 students or more would be fine. His focus was almost entirely on academic rankings. I think we had both memorized the U.S. News & World Report rankings of engineering programs throughout the US by the time he completed his applications! Climate may sound like a minor factor but if your son/daughter truly hates the cold, they will be miserable if they have to bundle up just to go to the dining hall for dinner every day. On the other hand, if they dislike the heat and it is 90 degrees plus 90% humidity in August – October and again in April-May, they will be uncomfortable for nearly half the school year. Four years is a long time to spend at a college if you are unhappy with the environment. I believe that proximity to home is determined more by what the student makes of the college experience than by the actual distance from home. I know students who go to school 30 minutes away and only come home for Thanksgiving and Christmas, and students who go to school four hours away and are home every other weekend. Ease of travel is a factor though. My oldest son can take a reasonably priced nonstop flight to and from school whereas my middle son has to fly out of a regional airport for an exorbitant fare and make a connection (usually with less than an hour layover) in a rough winter climate. I told my youngest son he could only consider colleges with nonstop flights! Some schools are located an hour or more from an airport although many provide transportation to airports for winter break and spring break. Most of these factors are not deal-breakers, just things to consider. Some students do well in a large-school environment and others are lost – it really depends on the child. Many students think they want the experience of a large school – the school spirit and sporting events are great fun. If a student is self-motivated and self-disciplined so that they will attend class as well as seek out tutors and professors’ office hours, they will probably do well academically at a large school. In freshman intro classes at a large school, there is often no accountability and no one takes attendance so there is no one to “make” them attend class. The majority of students do well at large schools or it only takes one semester of them struggling to figure out how to be successful….but that doesn’t mean a smaller school wouldn’t be a better fit. It is often possible to find a community within a large school to make it feel smaller – this can be a sports team, a club, a fraternity or sorority, or a project team. A swim team certainly meets this criteria! Small and medium sized colleges have advantages as well. Some students do not feel that they offer as much in terms of campus life and school spirit but you can certainly find some that have plenty of both. My oldest son has benefitted greatly from the small class sizes and ability to get to know his professors personally at a smaller school. Students need to decide where they will be most comfortable. If they grew up on a farm in Iowa, New York City may be culture shock. The opposite is also true – a student from a large city may be bored silly at a rural school. A lot of it depends on how much is offered on campus and how much students have to go into town for social activities. Many students are happy to just hang out with a few friends in a dorm room so the size of the city may not matter…at least the first year. Some schools are mostly comprised of students who live within driving distance and go home for the weekend – if your student is looking for more of a campus life, this could be a big factor. On tours, I tried to ask the student guide what students tended to do on weekends and if students left campus to go home. This question was particularly relevant at large state universities where my son would be an out-of-state student. I did not want him to be left alone on campus weekends when most students went home. Once you and your student start discussing these factors, some of them will be easy decisions, some will become more obvious as you research and tour more schools, and others may not play a big role in your student’s decision-making process at all. The next phase will be to consider majors offered which is very specific to your child. If they are undecided as to what they want to study, it is a good idea to choose a school that offers a wide range of programs. In a future issue, we will cover finding the right fit for your swimmer within swimming programs so stay tuned or sign up on www.collegeswimmingguide.com to receive our emails. Regardless, enjoy the search process and the discussion time with your student, it is a good opportunity for quality time with a teenager – something that is in short supply these days! Michelle Lombana is committed to helping parents like her whose children want to swim in college. 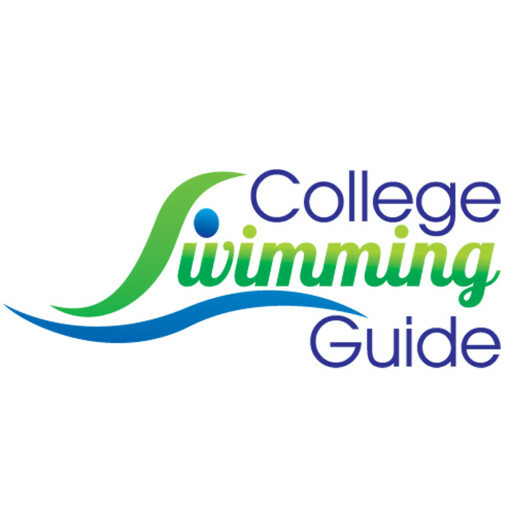 When she’s not detailing factors to consider when researching colleges, she can be found at www.collegeswimmingguide.com.